Except for some slight tweaks, Sony’s new flagship 4K OLED TV seems identical to last year’s debut model. But that’s not exactly a black mark against the Bravia A8F series. Instead, it feels like a testament of how good its predecessor already was. The Bravia A1 Series launched about a year ago was one of the best TVs in 2017, and the A8F looks set to continue Sony’s winning streak despite using mostly the same tech internally. 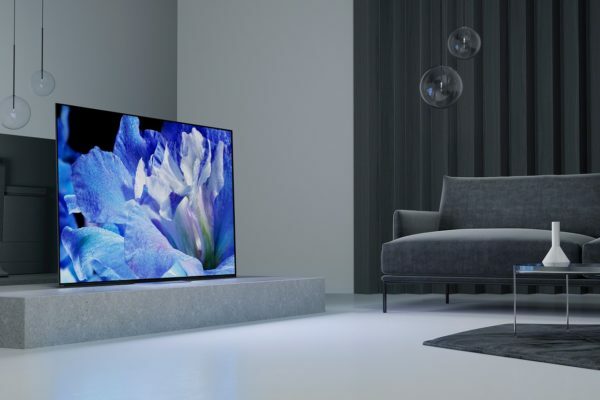 For one, the Bravia A8F series relies on the same proprietary X1 Extreme processor to render deep blacks and bright, vibrant colours, complete with sharp detail and reduced blur even in fast-moving scenes. It also uses the same display panel, and continues to support similar display and audio tech. This includes a variety of HDR standards like HDR10 and Dolby Vision (the latter of which will only be coming via a firmware update in the near future). Then there’s Sony’s remarkable Acoustic Surface technology that pumps good sound through the screen itself, so you won’t have to deal with chunky speakers or a soundbar interrupting the sleek lines and slim bezel of the TV. Even so, the Bravia A8F proves to be a fantastic television with superb picture quality that stands up to even against the latest crop of high-end TVs, at least going by a quick look today at Sony’s Singapore launch. In a side-by-side comparison with a competing brand’s model, for example, the Sony unit managed to eke out finer details such as gleaming skyscraper windows in the distance. A greater number of stars dusted across a night sky. But to be frank, these are details that will escape ordinary viewing. Unless you’re a fan of poring over demo reels at home, you’d be hard pressed see any difference in picture quality compared to competing brands with similar features. And I’m quite sure some of these differences are only visible when viewed with two or three TVs side-by-side, a setup which most of us do not possess at home. So, what’s new? Two noteworthy changes may win you over. 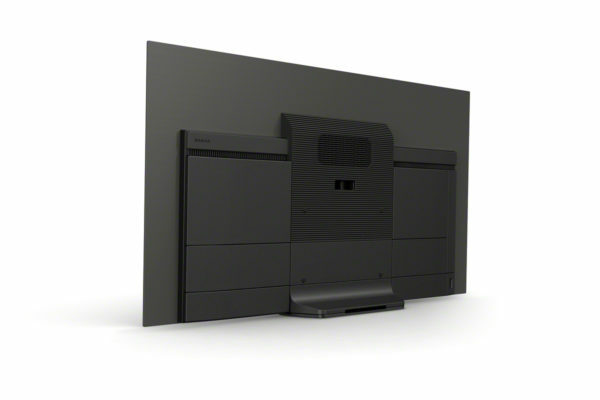 First is the switch from the Bravia A1E’s chunky kickstand to a more practical pedestal base. This means a slimmer profile, so it should fit better on narrower cabinets. It also has an added psychological benefit: a pedestal stand looks more stable than a feeble kickstand, so I won’t have to worry irrationally about knocking my expensive TV over with just a light brush. Second, the smart TV ships with the big-screen entertainment variant of Android 8.0 (“Oreo”), alongside support for Google Assistant. You can hold up a voice remote control to send instructions to your TV, which should make it simpler to execute more complex commands compared to navigating a graphical user interface with tiny remote control buttons. You can even control your Google Home setup through the Bravia A8F, if you so fancy. That does make sense on a certain level. The TV already has its place as the centre of a home, so it shouldn’t feel weird to instruct it to activate the Roomba, or get it to change the colour of your smart light bulbs. In reality, however, the live demo conducted by Sony execs today felt a little disjointed, perhaps wholly unnecessary. If you have a Google Home, why not just talk to the speaker directly? Plus, let’s not forget that Google Home isn’t even officially supported in Singapore. That dampens the appeal. One more caveat: Google Assistant will eventually roll out to all of Sony’s 4K HDR TV models from last year, so if you’re in this camp, you don’t really have to buy a new TV. The new Bravia A8F comes in 55-inch and 65-inch variants, and will be available in the second quarter of 2018. Sony has not disclosed its pricing, but it’s reasonable to expect it to be in the same ballpark as last year’s model – from S$8,999. As attractive as the Bravia A8F is, it’s not for everyone, not least because of its hefty price tag. Thankfully, some of Sony’s high-end tech typically trickles down to more affordable models, and a whole range of these were just launched today including good ol’ 1080p models. On the one hand, the Bravia X90F series (pictured above) offers many of the Bravia A8F’s features, with the notable exception of OLED. 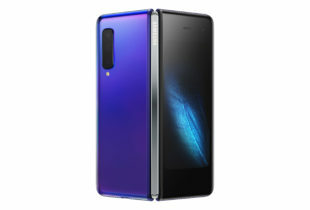 It has just a plain LCD panel, but includes a bunch of similar headlining features, such as 4K, HDR, and motion blur reduction tech dubbed X-Motion Clarity. Plus, the Bravia X90F has the added benefit of coming in more screen sizes, from 49 inches all the way up to 85-inch. Pricing for this series is also unannounced at the moment, but it certainly won’t reach Bravia A8F levels. 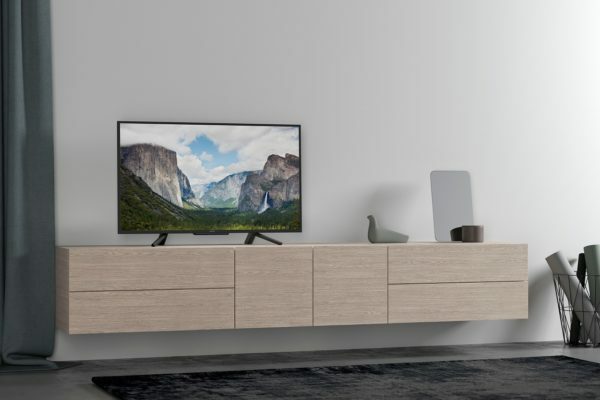 On the other end of the new lineup is the Bravia W66F series (pictured below) – basic full HD sets that start from S$899 and include some sweeteners like HDR and detail-enhancement algorithms. Need more details? 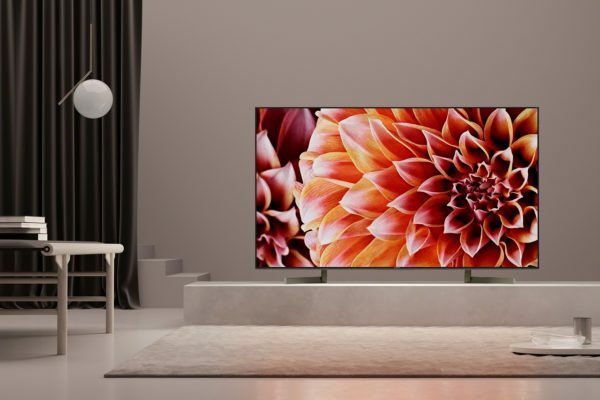 Check out and compare all new TVs on Sony’s website here.